that blends tradition with today. furnishings tie the generations together. on life, one at a time. building a new home in Michigan. Photos from across the bungalow nation. plans for vintage furniture pieces. 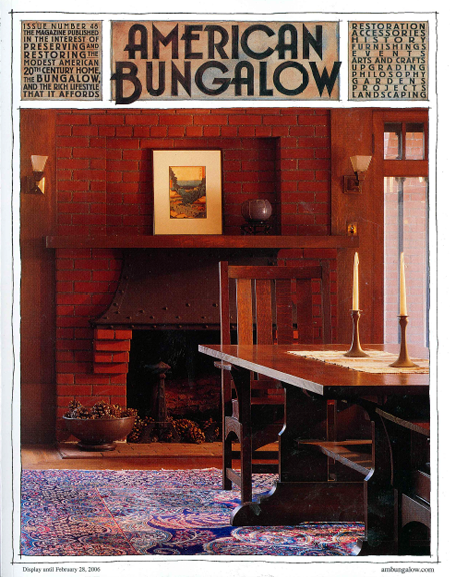 and catch up on bungalow news. but not all that useful.